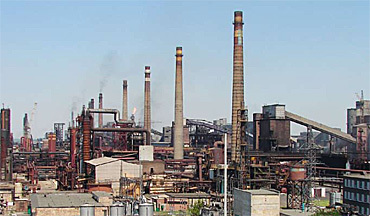 Avdeevskiy coke processing works is Ukraine’s leading coke processing plant. 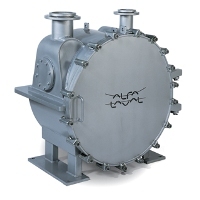 To comply with European emission and process regulations for the coke industry, the plant has replaced two open final gas cooling systems,using scrubbers, with Alfa Laval closed systems utilizing 11.5 metre high spiral heat exchangers (spiral columns). Prior to the installation of the new systems, the coke oven gas (COG) was scrubbed and cooled in an open system using water. This arrangement resulted in considerable emissions of harmful substances to the atmosphere from the cooling towers. After hearing about Alfa Laval’s technical solution, Avdeevskiy coke processing works decided to install closed final gas cooling systems in the desulphurization department. Emissions of ammonia, hydrogen cyanide, hydrogen sulfide, benzene, naphthalene and phenol were reduced to zero. Reduced pumping costs and elimination of water treatment costs provided substantial financial and energy savings.